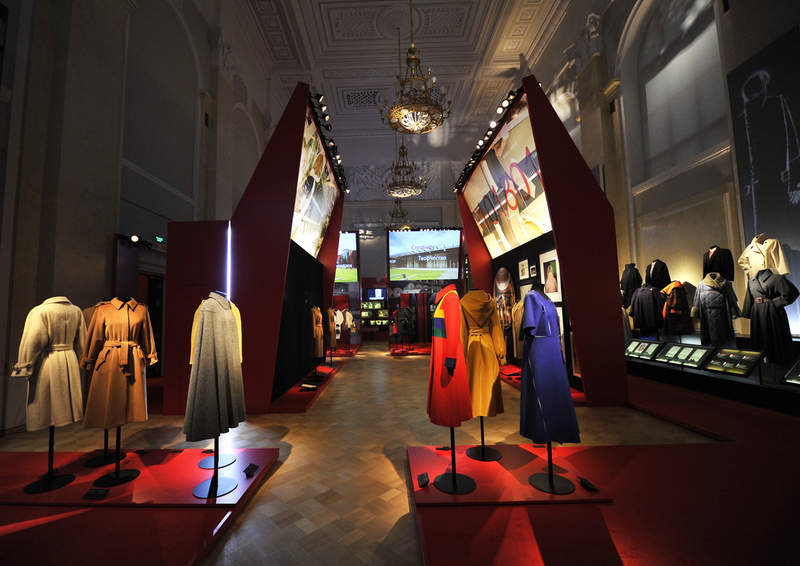 Coats! 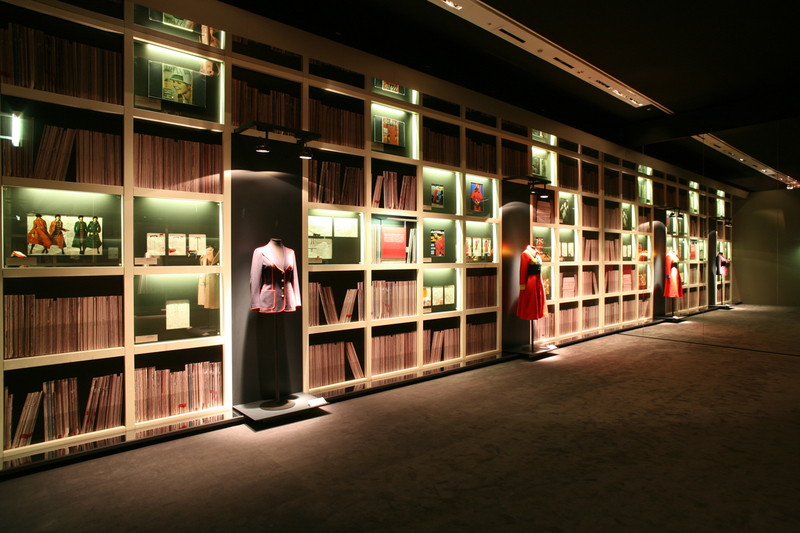 Max Mara, 60 Years of Italian Fashion. Berlin. Beijing. Tokyo. Moscow. Coats! Max Mara, 60 Years of Italian Fashion”, takes the visitors on a journey into the history of Italian fashion focusing upon the changing shape of Max Mara’s signature and most iconic garment: the coat. 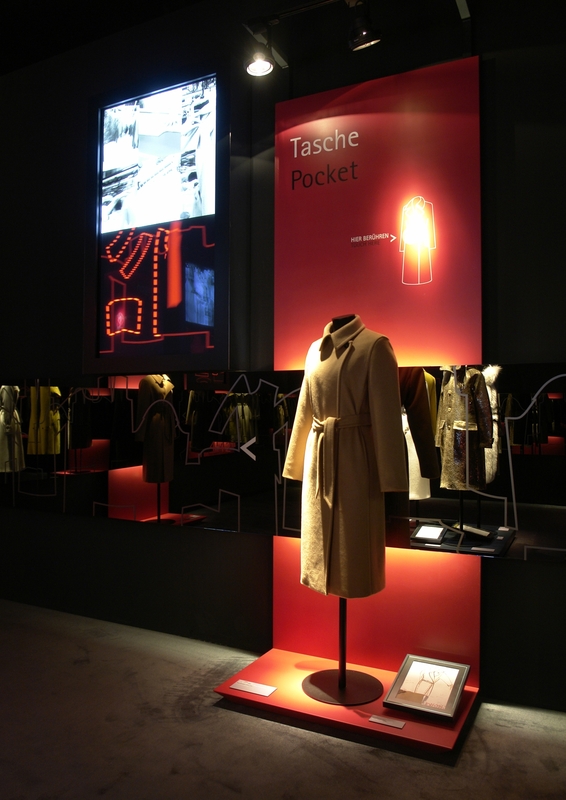 The international exhibition went through two phases, celebrating first Max Mara’s 55th anniversary and then its 60th. 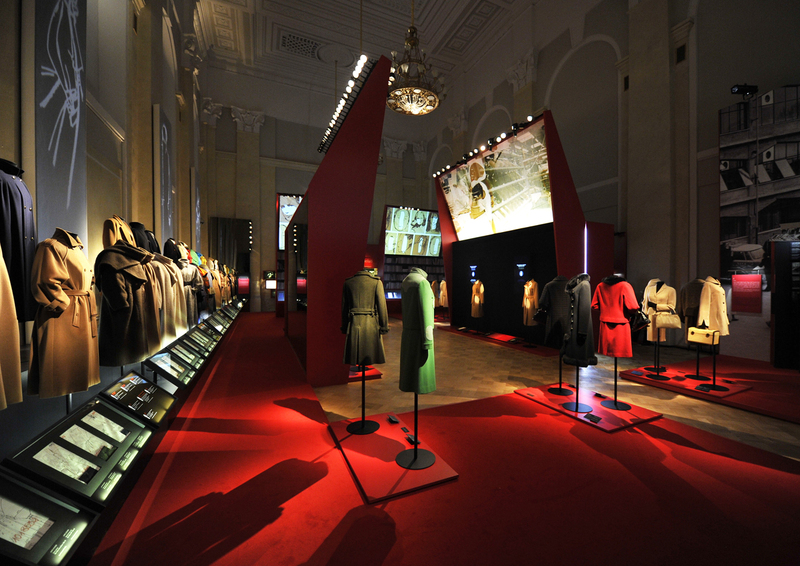 : the exhibition held at Moscow’s prestigious State Historical Museum in 2011 in occasion of the 60th anniversary of the brand was just the last of a serie of similar impressive events. 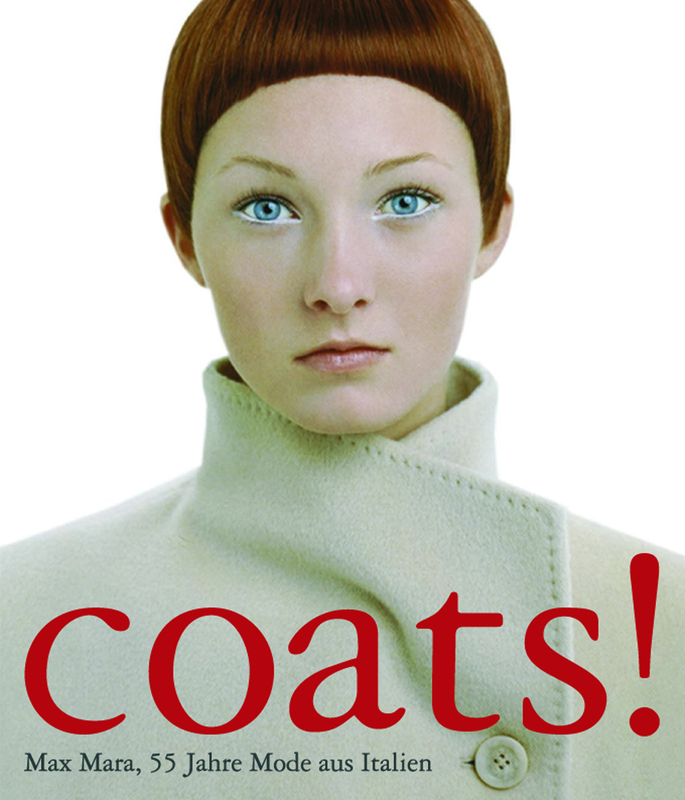 Before Moscow, Coats! 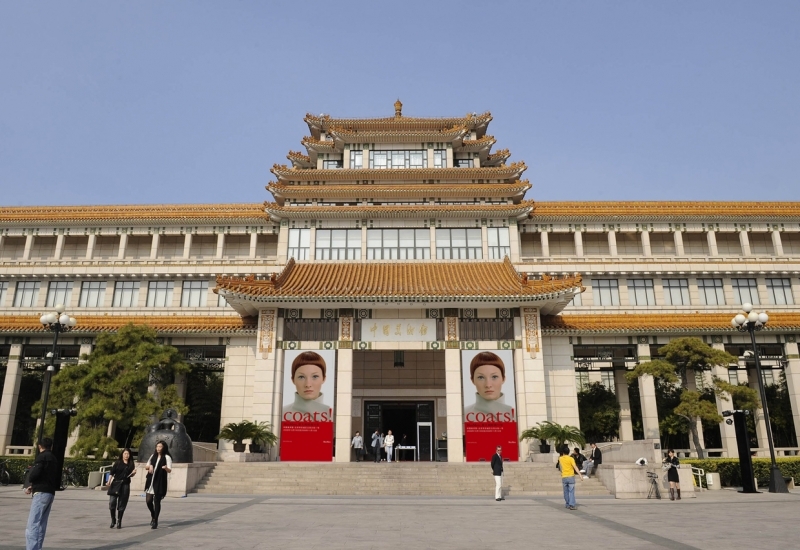 show was in fact first held at the Kulturforum in Berlin in November 2006, and travelled then to Tokyo at the Mori Arts Center in the Roppongi Hills in 2007 and to Beijing at the Namoc (National Art Museum of China) in 2008. 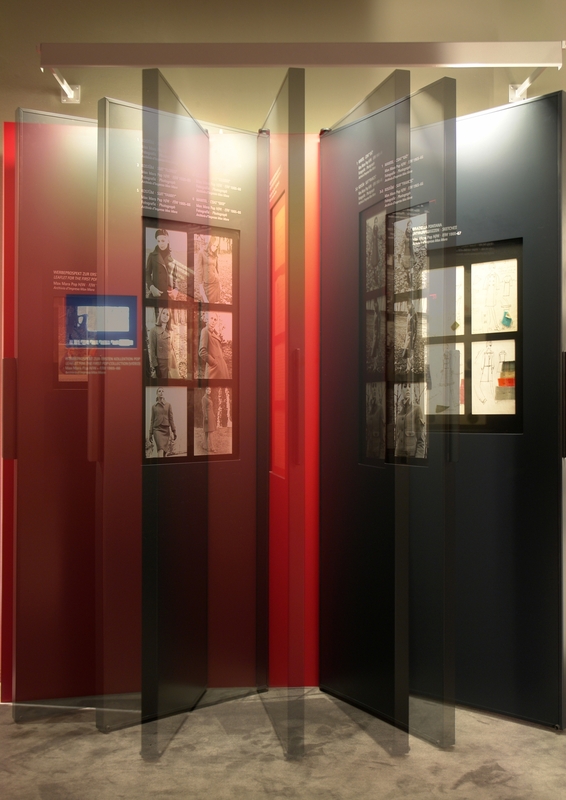 The exhibitions presents a striking and fascinating path winding through five rooms dedicated to different themes and connected to a central square. 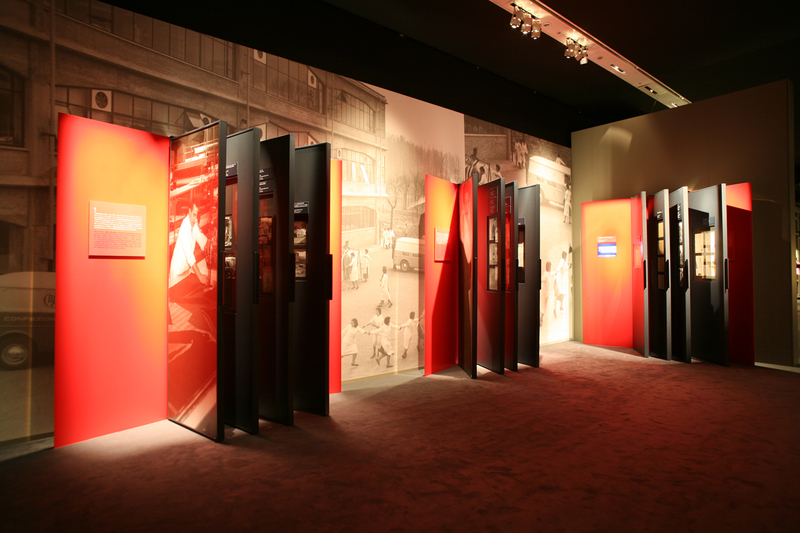 In each room the visitor is immersed in a particular moment of the company’s history and culture, from the Fifties until today. 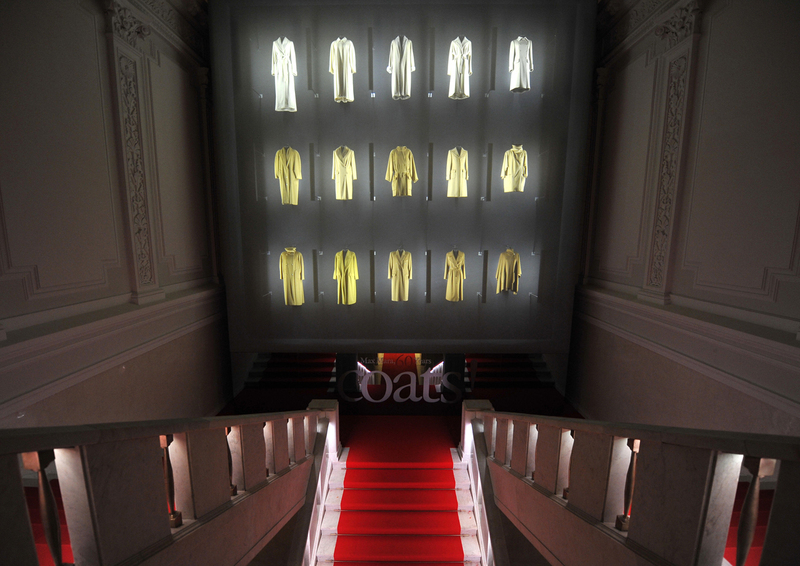 The square, symbol of the company’s Italian spirit, offers an overview through large projections with dynamic graphic effects. 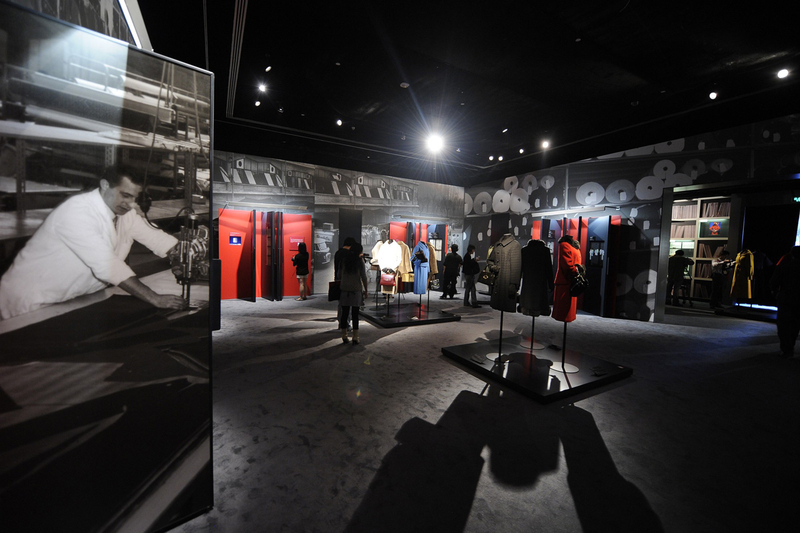 The shows are overall characterized by an interactive landscape, which has always prioritized a direct relationship with the “original”: the visitor has the chance compare sketches and more elaborate drawings, slides, prints and fabrics with the final product. Furthermore, the catalogue graphic design and the coordinated image of the exhibition are complementary to the exhibition design project. Coats! 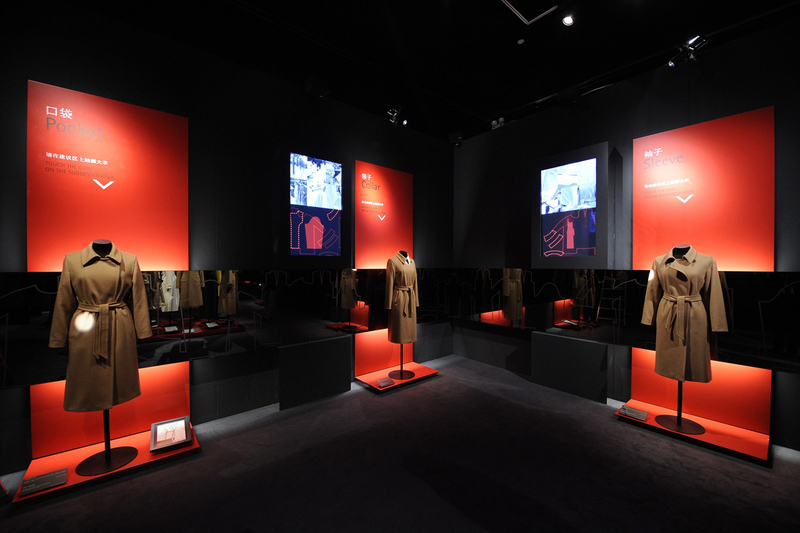 Max Mara, 60 Years of Italian Fashion”, takes the visitors on a journey into the history of Italian fashion focusing upon the changing shape of Max Mara’s signature and most iconic garment: the coat. 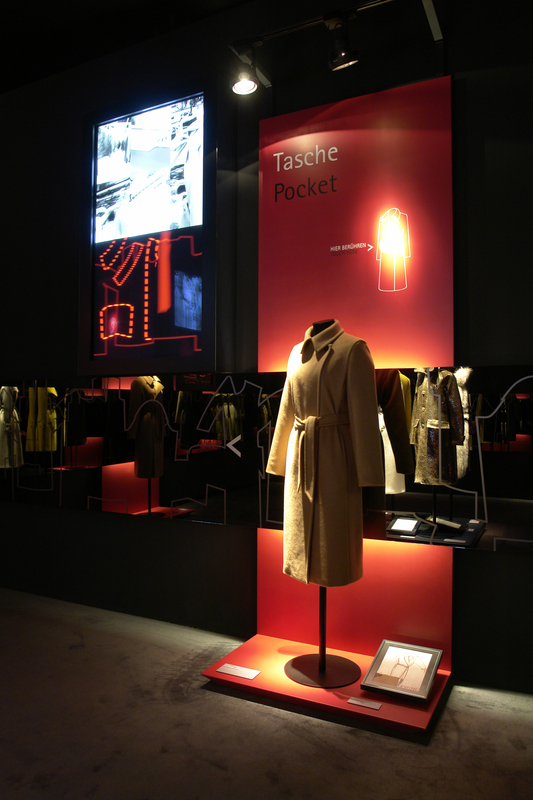 The international exhibition went through two phases, celebrating first Max Mara’s 55th anniversary and then its 60th. : the exhibition held at Moscow’s prestigious State Historical Museum in 2011 in occasion of the 60th anniversary of the brand was just the last of a serie of similar impressive events. 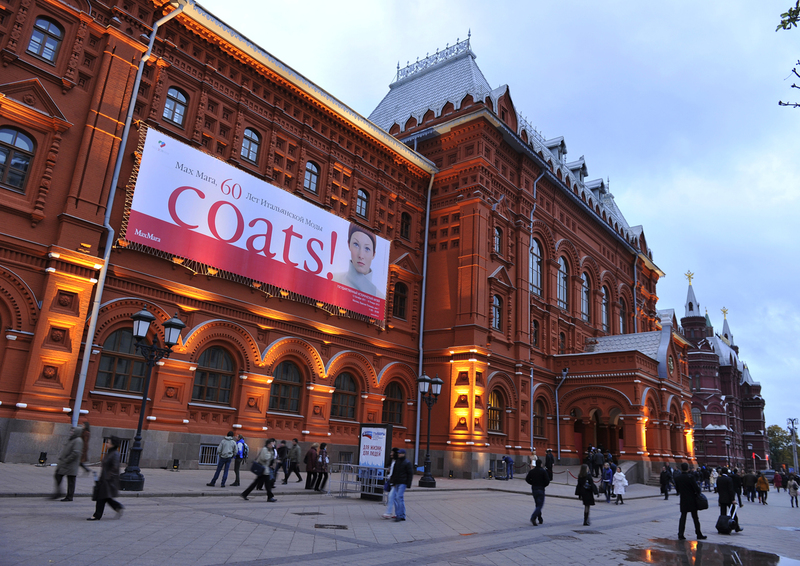 Before Moscow, Coats! 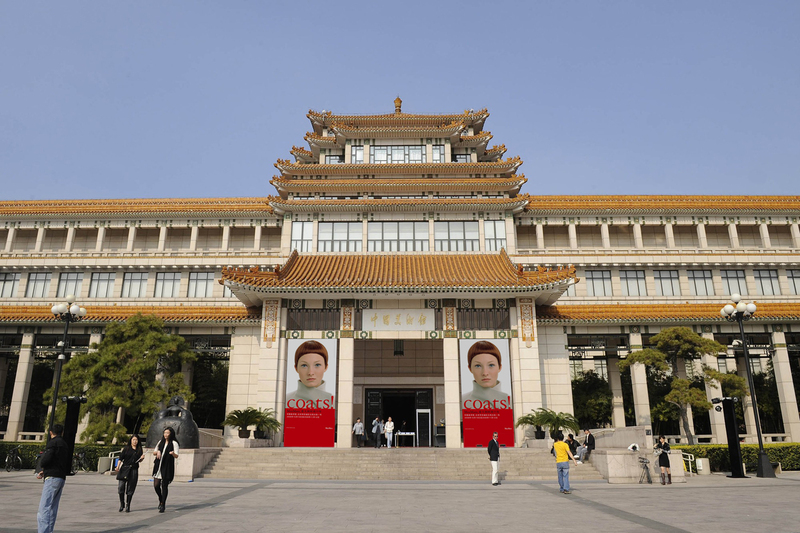 show was in fact first held at the Kulturforum in Berlin in November 2006, and travelled then to Tokyo at the Mori Arts Center in the Roppongi Hills in 2007 and to Beijing at the Namoc (National Art Museum of China) in 2008.